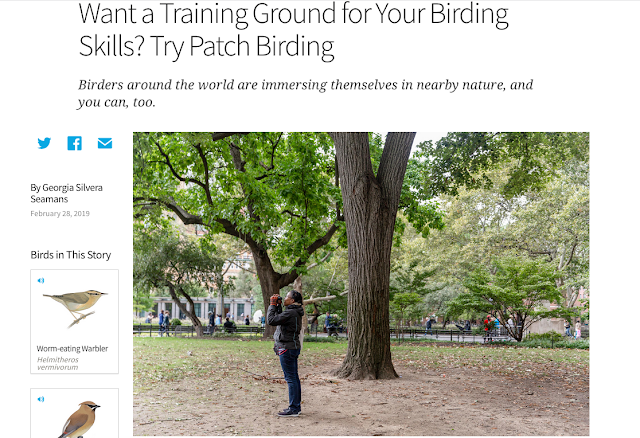 I have always been fascinated by the tools people use in their work. I asked plantsman Allen Bush to tell us about his tools of the trade and he shared his essential planting, weeding, and watering tools. You can certainly find a digging knife, a hoe and watering can for less, but you’ll be pleased with these. They’re all durable and long lasting, if you don’t lose them or run over them. I do all my small plantings in loose soil with the Leonard Stainless Steel Soil knife. ($18.00 from A.M. Leonard.) I find a trowel to be big for my needs and not as versatile. I spend a lot of time weeding on my hands and knees. 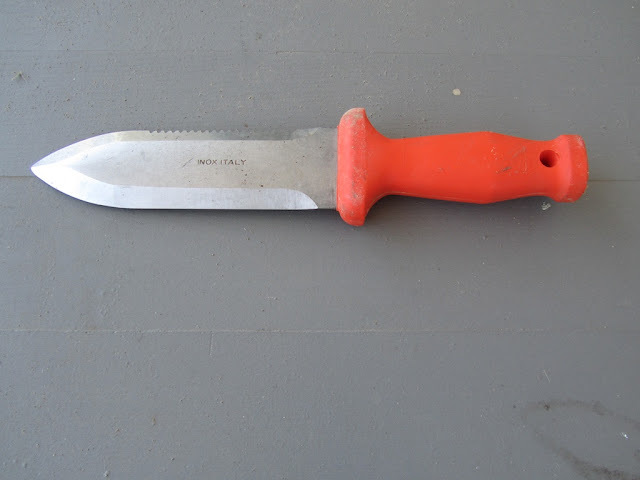 The soil knife will take care of the small weeds and is handy for close range weeding when you can scoot around tall tomato plants and stir the soil without risk of chopping off the plant with a scuffle hoe – my next suggested tool. I’d never seen a Dutch style scuffle hoe, until I worked in England in 1978. Weeding the vegetable garden, or the tobacco field, was done before then with a Razorback hoe that required a chopping action. The scuffle hoe is great for small weeds. ($61.00 from A.M. Leonard.) 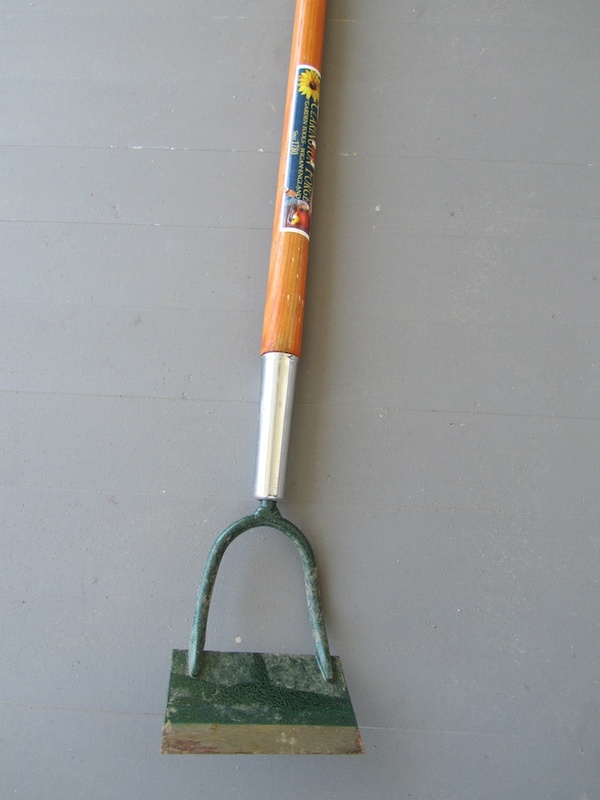 The action requires scuffling the hoe forward and back near the soil surface, deep enough to cut off weeds. It’s less work than a razorback hoe. But, keep the razorback hoe handy in the tool shed if you get behind on weeding. My third tool is a Haws watering can. ($158.00 from Haws Watering Cans.) It’s elegant, well balanced and versatile for watering newly sown seeds or potted plants. 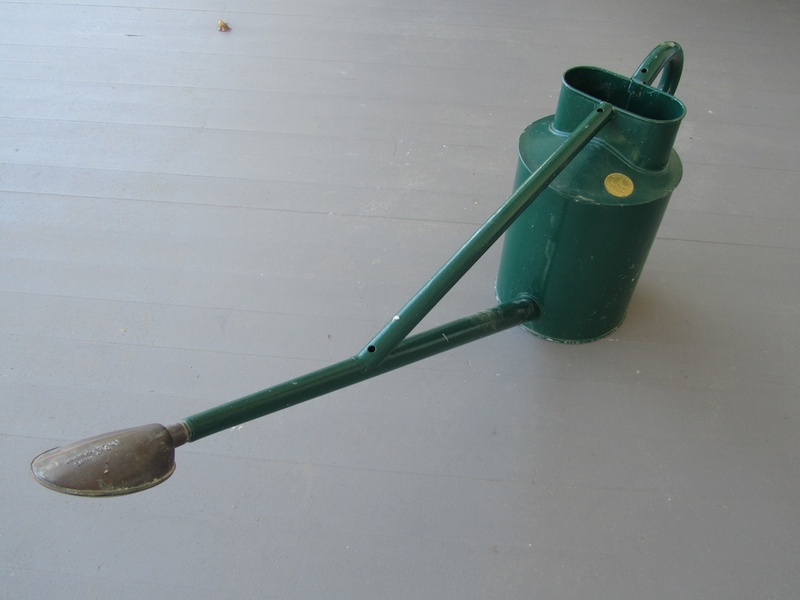 The replaceable rose on the watering stem can be turned downwards for fine watering or reversed for regular applications. You’ll pay a handsome price for a Haws watering can, but you won’t regret. I’ve never found another that compares. And I’ve usually found cheap plastic watering cans useless except for child’s play in the wading pool. I agree that the Haws Watering Can is elegant. Allen, thank you for sharing your favorite tools with us. Allen writes for Garden Rant and you can find his writing on Human Flower Project, too. Learn about the tools used by Boston architect Marie S.A. Sorensen and landscape architect Thomas Balsley.